If you’ve ever hauled camping gear or even just veggies from a framers’ market on your bike, you know two wheels and a frame can transport a lot more than the rider. 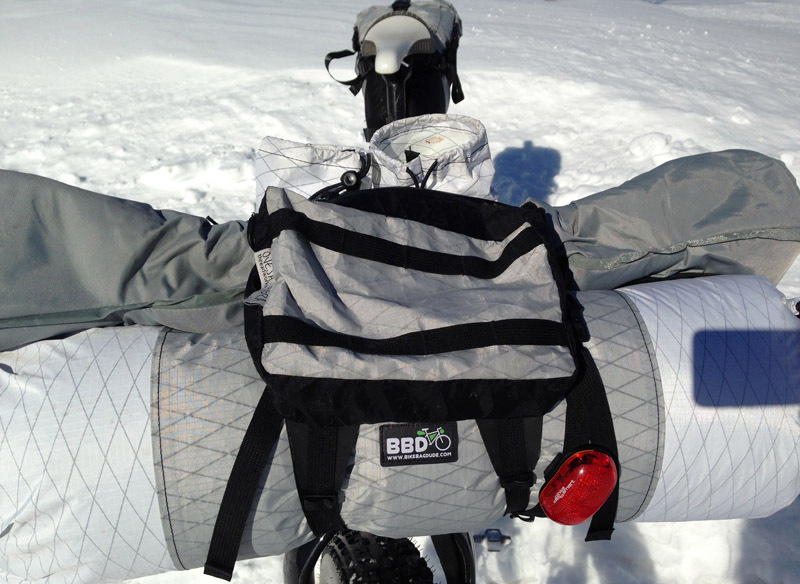 Bike bags come in many configurations, from handlebar­-mounted duffels to panniers. 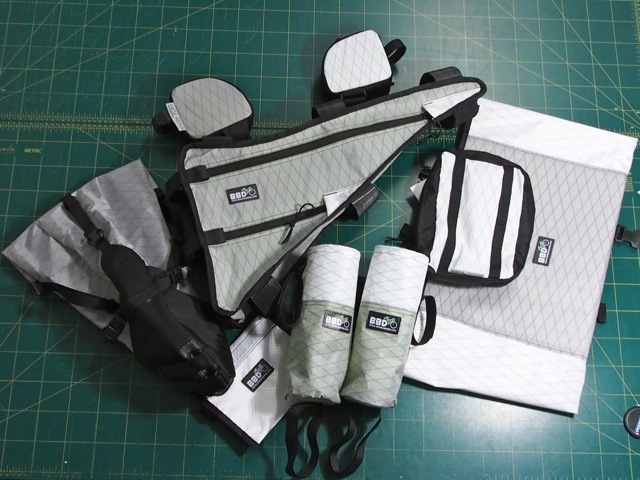 For a recent winter ultra race I chose high-end, custom designs including a frame pack (it fits perfectly inside the bike frame) as well as an under-the-seat bag and an arsenal of accessories pouches. In the race, the Arrowhead 135, I needed to haul about 10 pounds of gear as well as water and food. Attempting to be as streamlined as possible I got a complete bike setup from the Bike Bag Dude, a bespoke pack tailor named Kedan Griffin. 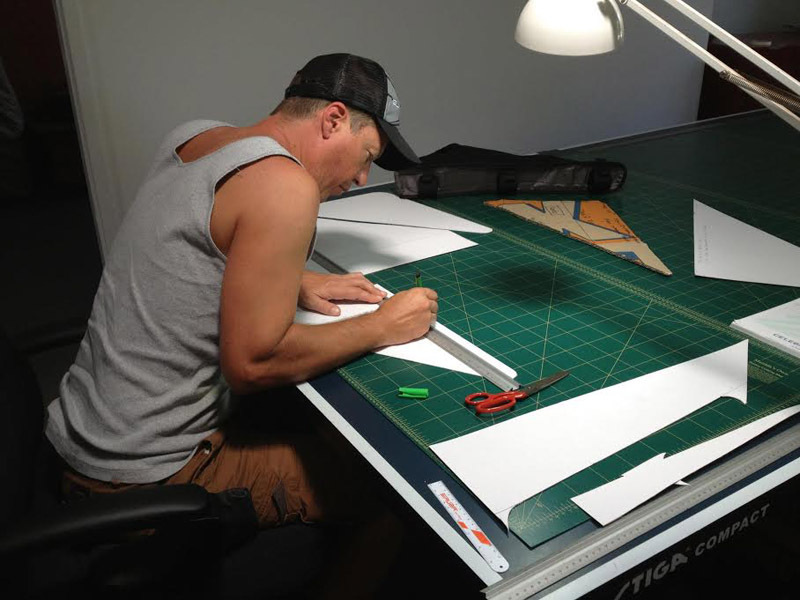 Griffin custom makes bags to fit each specific bike out of a Mount Hutton, Australia, studio. ­­You pick the material, colors and features, send measurements and even photos of a bike, and then he makes the packs fit your bike like a glove. 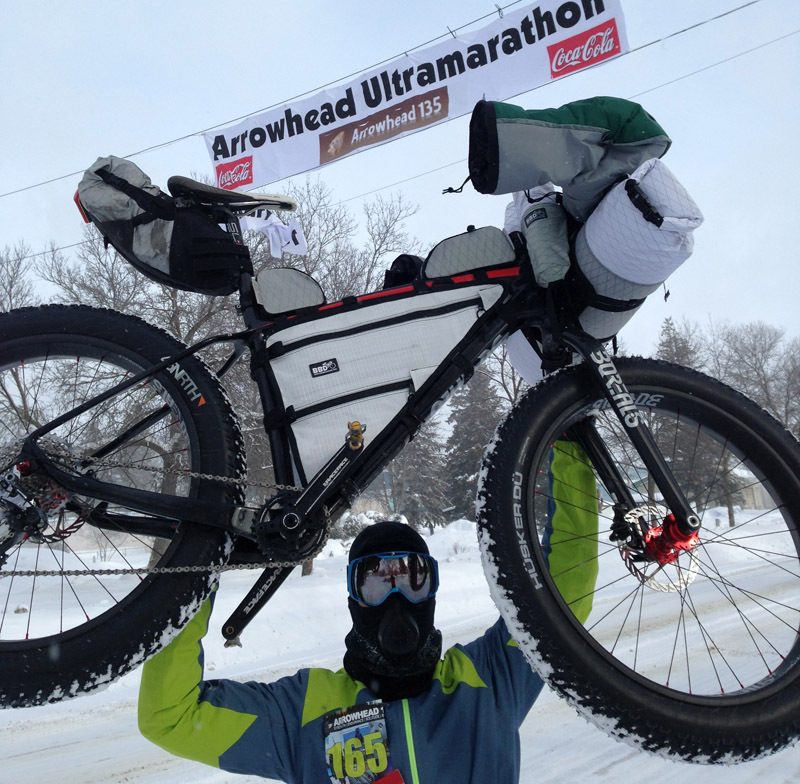 For the Arrowhead I went all out on gear, including a $5,000+ carbon Borealis Yampa fat bike. The bags might look insanely priced at around $750 for the whole seven-piece kit, but my goal was not cost savings here. Made of high-end, light and durable sailcloth, the bags weigh mere ounces and contributed minimal weight to a winter-ultra bike setup that was unlike anything else on the racecourse. The carbon bike plus these light bags gave me a total bike weight that was nearly one-third less than many of the riders on the Arrowhead trail. It helped me earn second-place overall in one of the toughest events in North America. To me the big bucks are worth it. Compared to the competition, Bike Bag Dude quality stands out. The stitching is perfect, the fit is spot on, and the materials are top­-shelf. I particularly like the durability and additional waterproofing born of the external seam stitching that The Dude uses. In the race I used Griffin’s custom frame bag, which costs about $200, plus Chaff bags for quick access to food and other essentials during the race. These small bags strap onto the stem and bar. I loved the open-­topped design of the Chaff bags, which cost about $45 each. There was no fumbling with a zipper when I needed to grab food, lip balm or a headlamp while pounding down the trail in below-­zero conditions. 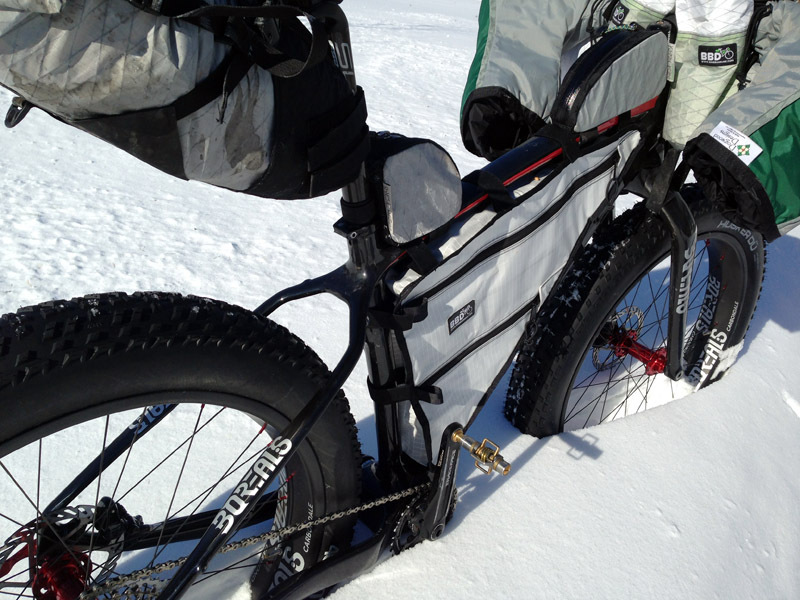 I also used the handlebar roll for my sleeping bag (about $140) and a lunchbox-style bag mounted on my handlebars for food, spare gloves, and other gear. The complete setup let me haul a winter sleeping bag, food, water, a stove, extra clothing (including a large down jacket), bike pump, tube, and tools, with little issue. If you’re interested in these bags know that the construction is quick — mine took just a day to cut and stitch, and then about 10 days to ship to the U.S. Beyond the high quality of these packs, it is a pleasure to work with Kedan. He seems to genuinely love his craft and is happy to discuss making your bike-packing dreams come true. Don’t be surprised if you end up becoming Facebook friends, chatting about his German Shepard pups, or discussing his latest beach camping bike trip. No doubt, these packs are expensive. See the whole line here. But paying for quality here was an investment in handmade craftsmanship that I don’t have to stretch to recommend. They are worth the price. —Tom Puzak is a contributing editor.